Written specifically for mothers, this book explains God's covenant of hope using stories that demonstrate God's protection for children in our modern culture that is full of decadence and danger. 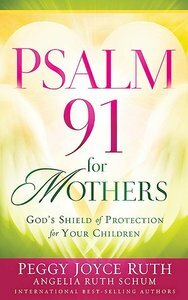 Psalm 91 for Motherswill show parents, and teachers, and others who love children how to call on God's divine protection for their loved ones. About "Psalm 91 For Mothers"